The world of work moves so quickly these days that to get the best from your career, you need to actively manage it and seek out new opportunities. Manage Your Career will help you make the most of your talents and potential, and enable your dreams to become a reality. 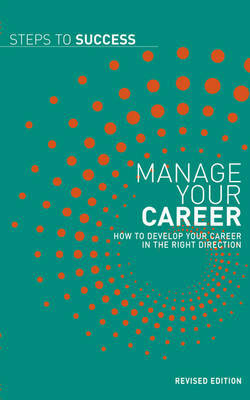 Packed with essential advice and practical help, this book will help you plan the right move, whether you want to climb to the top of the career ladder or reinvent your working life completely. Whatever your job, Manage Your Career will help you make the most of your skills and reach your full potential at work. It features a quiz, step-by-step guidance and action points, common mistakes and how to avoid them, top tips, summaries, and lists of handy Web links and further reading.